JAC members met with Rep. Ben Ray Lujan (D-NM), chairman of the Democratic Congressional Campaign Committee and Rep. Jan Schakowsky (D-IL) for a discussion on the 2018 congressional races. Now let's say thank you. JAC members met with Senator Susan Collins (R-ME) in Washington, D.C. Thank her for for standing up and voting to #ProtectOurCare. The long term consequences of the Israeli government's decisions regarding security arrangements on the Temple Mount are yet to be seen, but for now, it is almost certain that any incidence of violence that may occur in the near future will be attributed by members of the Hebrew-language media to the events of the past week. Trump clearly was briefed on concerns about Hezbollah in the region, especially its role in Syria and Israel's worries that Iran is setting down deeper roots in Lebanon. But Trump has also signed on to a ceasefire in Syria that empowers Assad close to Israel's border and also empowers Hezbollah. If Hezbollah is a menace, where is the policy on rolling it back? If Assad is horrible, then why is the U.S. administration not upping support for Syrian rebels, but rather decreasing that support? But, Trump doesn't seem to understand Hezbollah in Lebanon. Analysis: Can Israeli-Jordanian Ties Survive Temple Mount Violence? Rather then breaking off ties, both leaders used the embassy shooting to wager a behind the scenes deal that allowed both Netanyahu and King Abdullah to claim victory. In spite of the mounting daily Palestinian protests at the entrance to the Temple Mount and the larger unifying calls against Israel in the Muslim world, Netanyahu was loath to back down lest it be perceived as a sign of weakness. He was also under pressure from the right flank of his party to stand strong on the matter. The 'Splainer: Why is Jerusalem's Temple Mount so disputed? A bill being weighed in Congress that would target boycotts of Israel and its settlements is sparking widespread outrage. 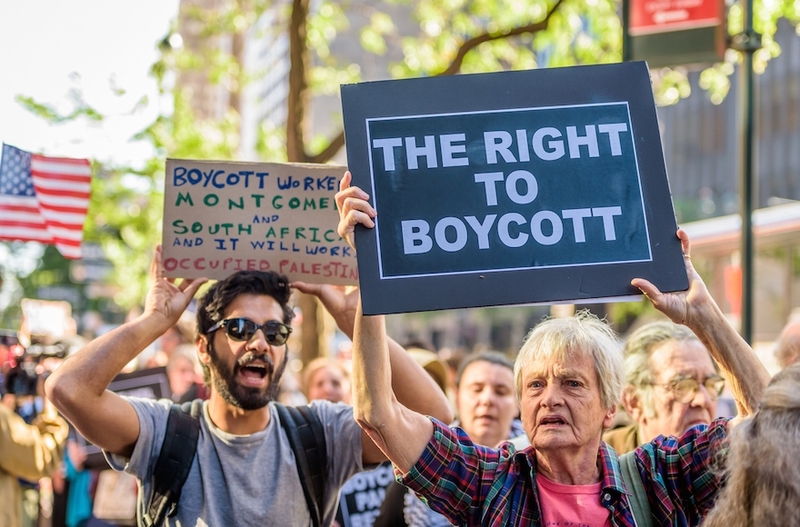 What has been largely missing from the discussion over the Israel Anti-Boycott Act is a close, careful reading of the bill's text and relevant statutory law - a non-hyperbolic read, but also a non-apologetic one. This law has issues. But the more extreme claims that it bans boycotts of Israel are untrue. The number of anti-Semitic incidents in Britain rose to an all-time high in the first half of the year, according to a charity which aims to protect British Jews. There were 767 anti-Semitic incidents, mainly abusive behavior or assault, in the first six months of 2017, the Community Security Trust (CST) reported, a 30 percent increase from the same period in 2016. "Some of this may be down to improved reporting, but it is sadly clear that the overall situation has deteriorated," said CST Chief Executive David Delew. "Anti-Semitism is having an increasing impact on the lives of British Jews and the hatred and anger that lies behind it is spreading." Getting An Abortion In Alabama Is Hard. The Opioid Crisis Is Making It Even Harder. Alabama, like the rest of the nation, has been hit hard by the opioid crisis, with overdose deaths at an all-time high and a generation of children making their way into foster care. But other victims of the crisis -- victims who are not uncommon -- are pregnant women seeking abortions, like the patient at the Alabama Women's Center for Reproductive Alternatives in Huntsville. 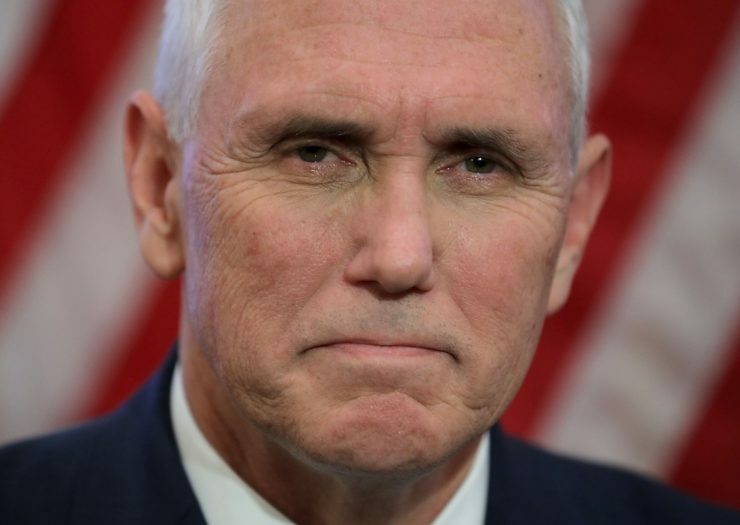 Vice President Mike Pence, as governor, signed a law in 2014 requiring doctors who provide abortion care to have written admitting privileges or a written agreement with a back-up physician who has such privileges at a hospital in the county where the abortions are performed, or a contiguous county. Such privileges can be difficult to obtain, particularly since about one in four Indiana hospitals follow Catholic religious directives that restrict many forms of reproductive health care. The war on women has long been a war of attrition. Conservatives are the Energizer bunnies of misogyny, hoping to simply wear down their opponents by overwhelming them with so many anti-choice regulations that feminists simply stop fighting for women's health and equality. Nowhere is this more evident than in the special legislative session called this summer by Texas Gov. Greg Abbott. 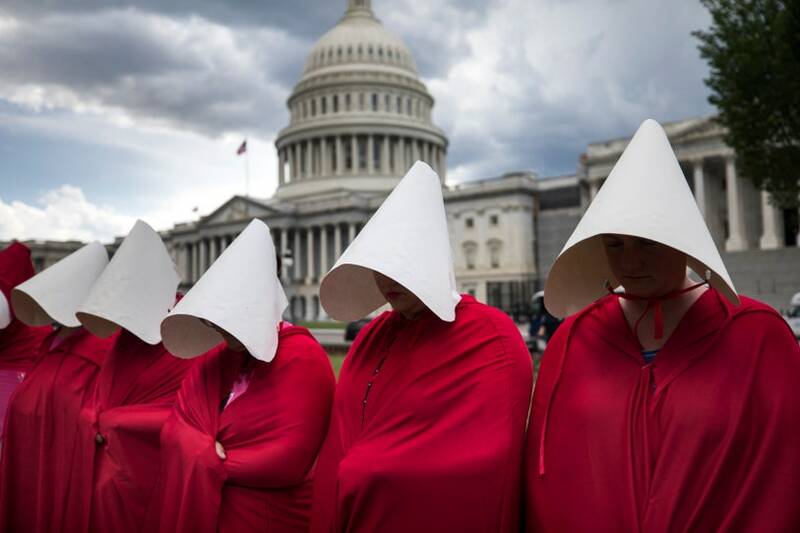 Republicans have introduced a dizzying number of bills attacking access to abortion, contraception and other sexual or reproductive health services. Earlier this year, President Donald Trump signed an executive order on religious liberty that partly aimed to weaken a 1950s law that barred church and faith-based groups from meddling into politics. While everyone is focused on health care and the alleged Russian interference in the 2016 election, it looks like the GOP has been working to defang the legislation that prohibits tax-exempt organizations "from directly or indirectly participating in, or intervening in, any political campaign on behalf of [or in opposition to] any candidate for elective public office." On the anniversary of Harry S. Truman's desegregation of the military, President Donald Trump on Wednesday abruptly reversed the move to openly integrate trans service members. The announcement came in the form of a tweeted edict that was designed to appeal to the religious hard right. Automatic Voter Registration Could Strengthen Election Security. Do Republicans Care? Rhode Island Gov. Gina Raimondo (D) signed an automatic voter registration bill into law, making the state the ninth in the nation to register eligible voters when they interact with the Division of Motor Vehicles. 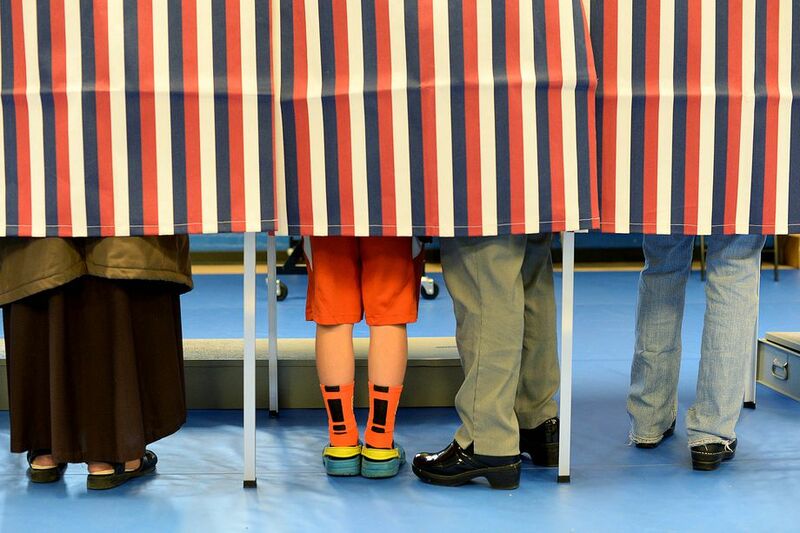 Some Republicans have voiced their opposition to automatic voter registration, and several GOP governors have vetoed legislation on the policy though it would have boosted registration in their state. Sam Munger, director of strategic engagement and senior adviser at the State Innovation Exchange, suggested that expanding the electorate could help Democrats. Senator and Iraq War veteran Tammy Duckworth (D-IL) sounded off on Trump's military transgender ban, recounting that when she was "bleeding to death" after an attack, the gender identity and sexual orientation who saved her "didn't matter. Duckworth said. She went on to say, "If anything, what [Trump] is doing is disruptive to unit cohesion." One of the risks inherent in gun ownership is theft. 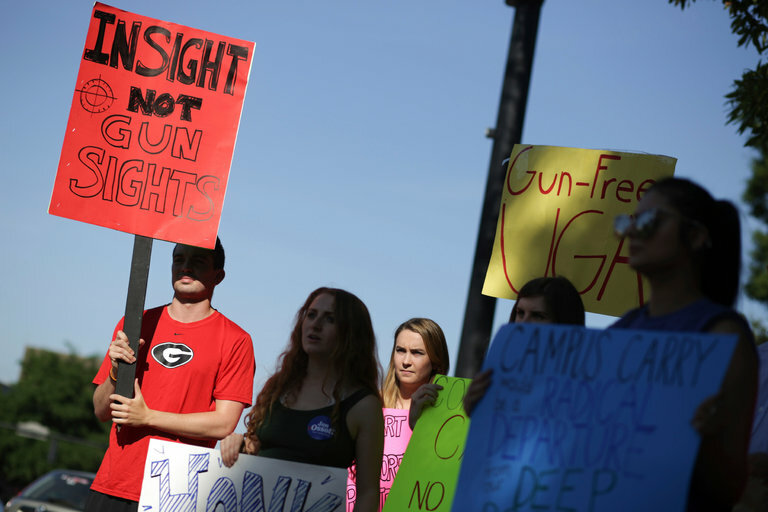 Indeed, a new analysis by the Center for American Progress of data from the FBI and the ATF found that a gun is stolen in the U.S. every two minutes. Congress needs to give the ATF the authority to require gun dealers to take certain basic steps to secure their inventory. A good starting place is the bill Rep. Brad Schneider (D-IL) introduced this week, which would require gun dealers to store guns securely after business hours and would direct the attorney general to consider regulations regarding additional security requirements. I'm a Boy Scout Leader. Here's What Trump Doesn't Get About Loyalty. I am a Cub Scout leader, and more important, a dad. And as parents and scout leaders, we try to model these traits for our kids. It's more than unfortunate that our own president has difficulty exhibiting these traits when he speaks publicly to a national gathering of the Boy Scouts of America. This was not the place for this talk, to children who are supposedly there to learn about honor, kindness and reverence. It was the opposite of what we leaders are working toward. In each congressional special election this year, Democrats have fallen short every time. But local races are telling a different story. The latest example came Tuesday night in New Hampshire, where Democrats won a state Senate seat in a historically Republican stronghold. The Senate's effort to repeal and replace Obamacare collapsed early Friday morning, and President Trump has already replied that he is ready to "let Obamacare implode" and then reopen negotiations. Absent some kind of legislation, what is going to happen to the Affordable Care Act? Here's what the death of "repeal and replace" could mean for you. It now seems virtually certain that, in one form or another, we are headed for a constitutional showdown. Even if Trump had nothing to fear from Mueller's investigation, he would probably be unwilling to accept the legitimacy of an independent probe that so clearly showcases the limits of his rightful authority. But there seems to be something more than the quintessentially populist claim that all the state's rightful authority resides in him alone. It seems increasingly probable that either he or one of his close associates has done something highly illegal-and that the fear of being found out is starting to set in for good. 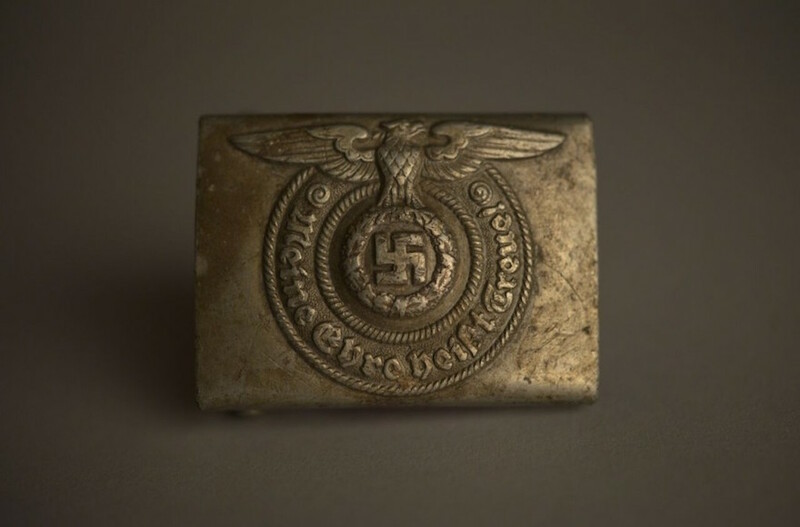 The museum at Auschwitz announced the first traveling exhibit about the Nazi concentration and extermination camp, featuring more than 600 original artifacts. The artifacts will include an original barrack from Auschwitz III-Monowitz, the largest of the subcamps of Auschwitz. The exhibit will also include a pair of eyeglasses that belonged to an Auschwitz victim, an SS soldier's belt buckle and a carved wooden box made by a prisoner. "Health care is extraordinarily complex, and we must work together systematically in order to "do no harm" and improve our health care system."